Are you confused as to why – because you think you’re truly a nice person? If so there are many reasons why people might feel negatively towards you – for no good reason at all! Some people only hate you because of the way other people love you. Some people hate you because you did the work to improve your life. Your haters don’t want to put in the effort to improve their life. As a result, your success reminds them they are not willing to put in effort to succeed. Plus, your presence reminds them about what’s wrong with them – and what’s missing in their life – so they hate you. Basically, it’s the ones who are against you who believe in your power the most. In many ways these people who hate you are (ironically) your biggest fans. They admire all you’ve accomplished – and are quite simply jealous. Some people hate you because you’re presently going through a bad time. Your uneasiness makes them feel uneasy. They worry your bad luck is contagious. And/or they just don’t want to put in the effort needed to cheer you up and cheer you on. Basically…If you want to find out who’s a true friend – screw up or go through a hard time – then see who sticks around. Some people hate you because they once rejected you – in some way – for something. In general, they used to feel you weren’t good enough for them. Then you had the audacity to improve yourself and embetter your life! (How dare you! ) 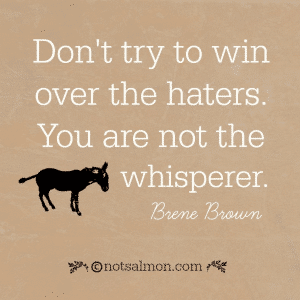 As a result, your haters now feel like they are missing out on the new improved you. They need to still dislike you – so they don’t feel like they are missing out. 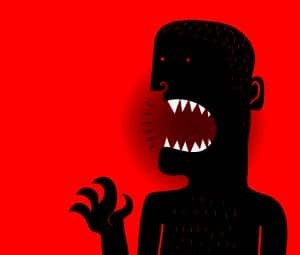 Some people hate you because you used to share a problem in common: overeating, or binge drinking, or toxic romantic partners. You then found a way to leave the problem behind you – while they are still caught up in the chaos. Your newfound peace causes them angst, regret and self loathing. 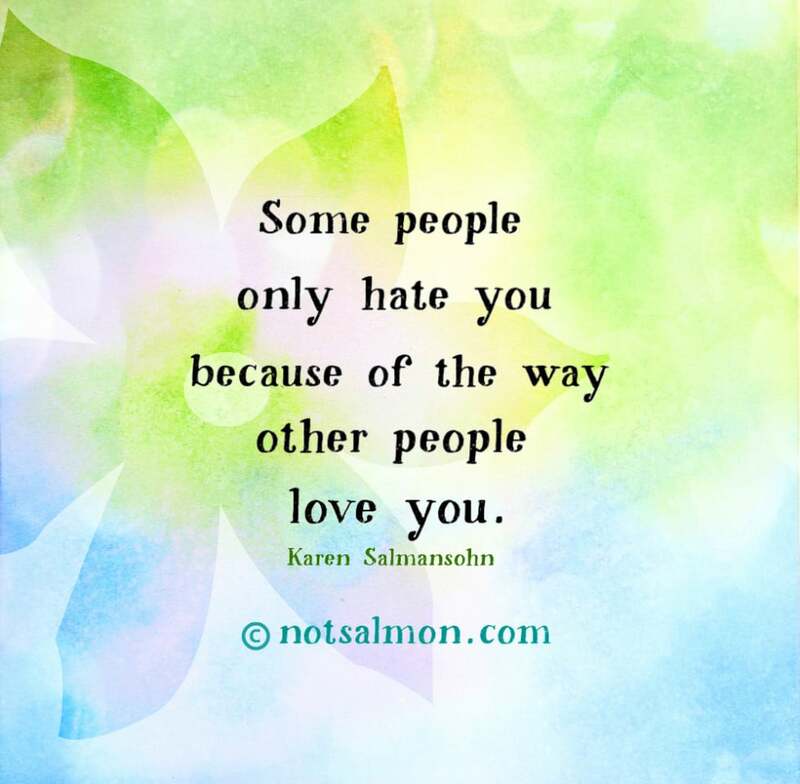 Some people hate you because they hate themselves – and these people are simply not capable of love and connection – with anybody. Maybe they are a narcissist, sociopath or have some kind of personality disorder. Maybe they had a terrible childhood – and thereby hurt people want to hurt people. Maybe they had a childhood where they were raised with hateful, judgmental beliefs about specific kinds of people – and they never awakened to see the wrongness of these limiting beliefs. Unfortunately, all of these types of people are mostly comfortable with resentment and drama. Basically, happy people don’t hate. And people who walk around hating aren’t happy. If someone treats you like crap, remember: It’s because there’s something wrong with them. Not you. Normal people don’t go around destroying other people’s lives. Stop wasting your time and thoughts on people who hate you! Spend your time and attention on people who love and adore you. Appreciate those who are happy for your happiness and sad for your sadness. These are the people to truly treasure. Remember: Don’t worry if someone doesn’t like you. Most people are struggling to like themselves.